Esther Ferrer: "Mallarmé revisé o Malarmado revisado" (1968). Courtesy of Museo Nacional Centro de Arte Reina Sofía. Esther Ferrer: "Mallarmé revisé o Malarmado revisado". Performer: Ines Bermejo. Photo: Ana Inés Landeta, Bilbao Fine Arts Museum. Esther Ferrer: “Suspiros de España” (1981). Performers: Ines Bermejo, Mikel Tejada, Ainhoa Ortells and Paula Brezo. 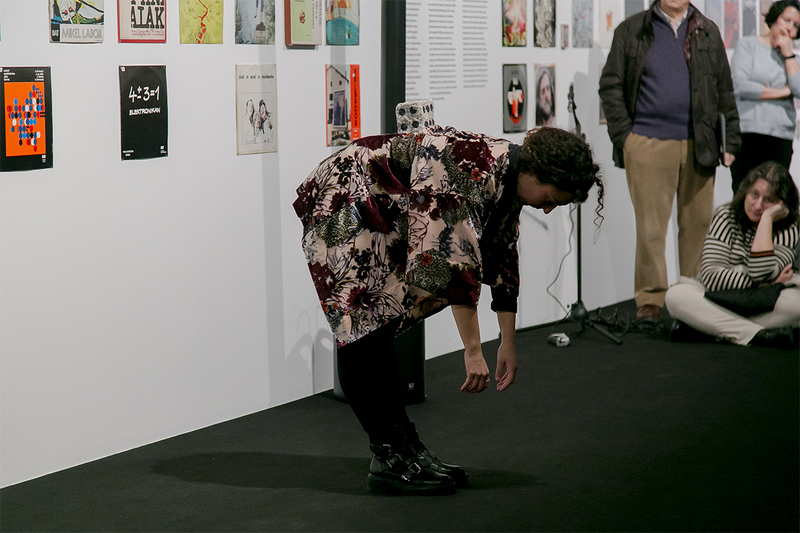 Photo: Ana Inés Landeta, Bilbao Fine Arts Museum. 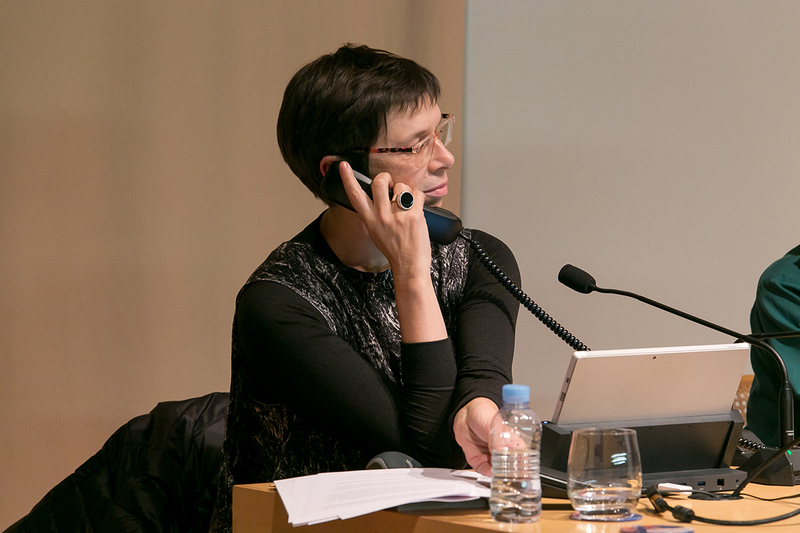 Phone conversation between Laurence Rassel and Esther Ferrer. 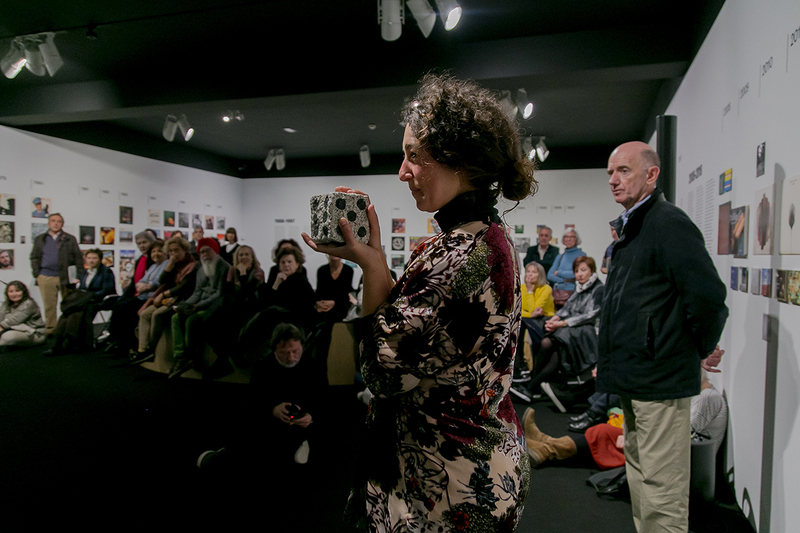 Photo: Ana Inés Landeta, Bilbao Fine Arts Museum. 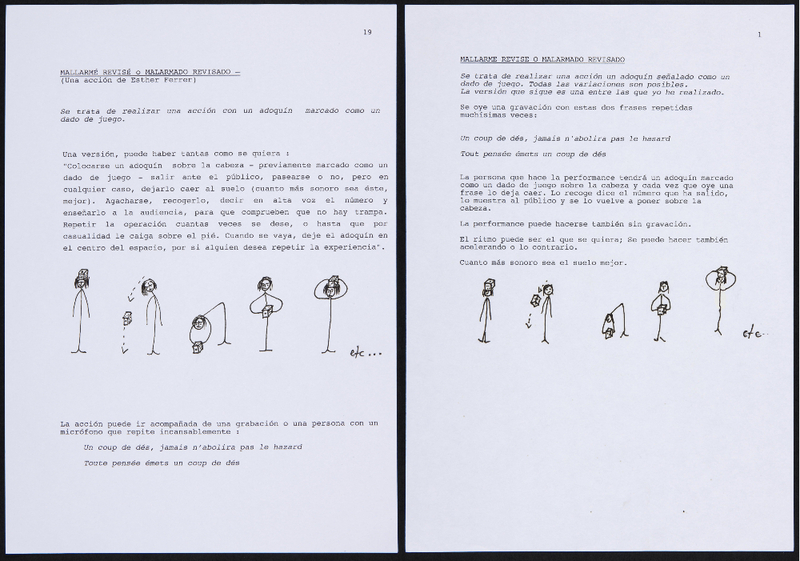 Encounter around Esther Ferrer’s Mallarmé revisé o Malarmado revisado (1968) with the artist and Laurence Rassel. 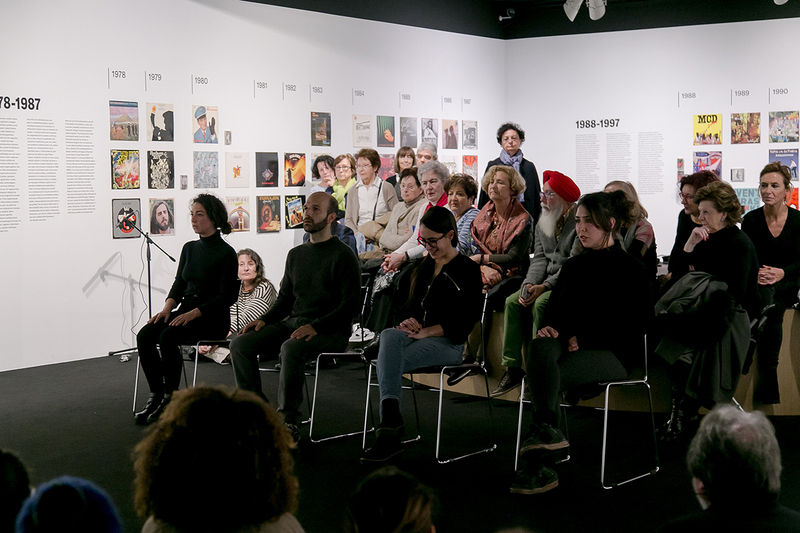 This event is part of Artworks for De-occupying and Occupying Time in the Museum, a series of encounters accompanying the exhibition After 1968. 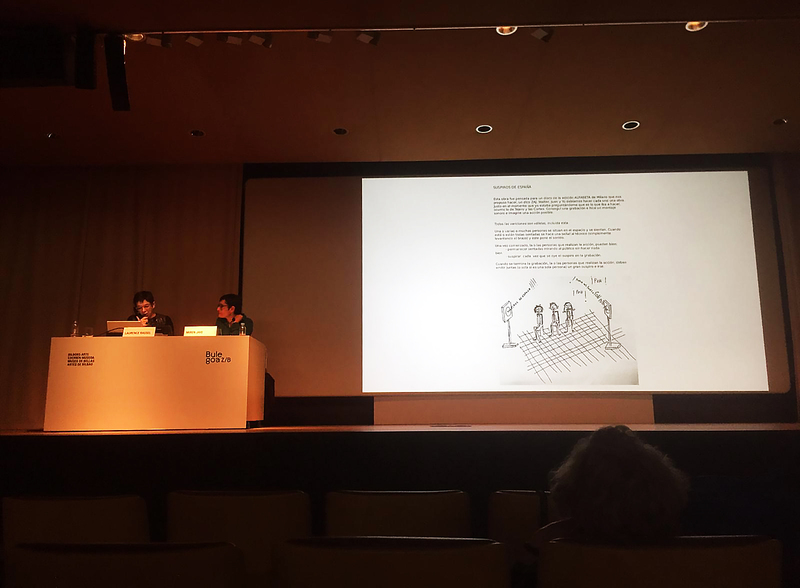 Art and artistic practices in the Basque Country, 1968-2018 at the Bilbao Fine Arts Museum. The encounters are based on seven works, some of which are included in the exhibition while others are part of its conceptual framework. 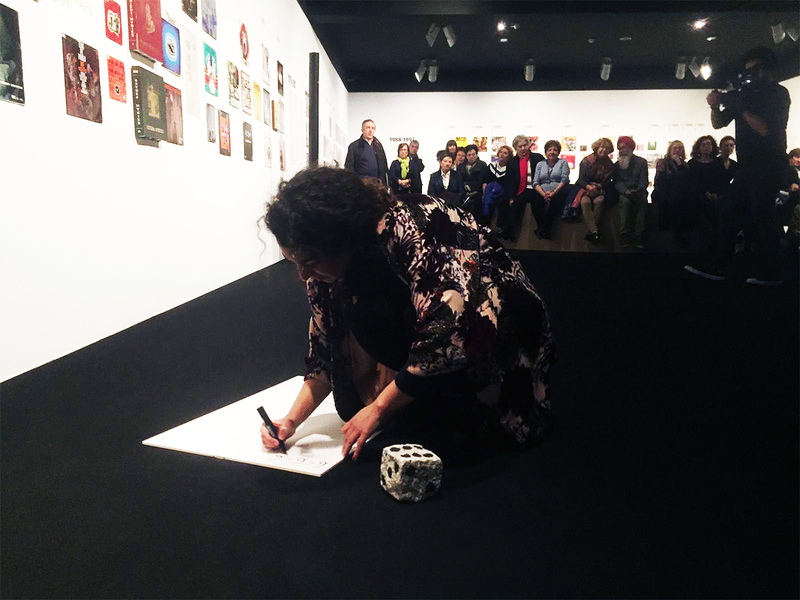 In each encounter, artists and art specialists gather together around an artwork. 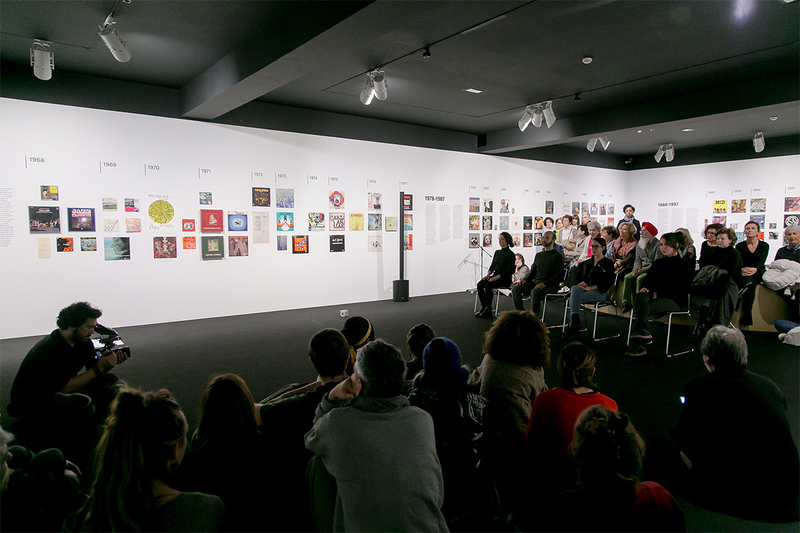 Venue: Gallery 33 and Auditorium, Bilbao Fine Arts Museum. Entry free of charge, limited seating. Invitations available at the museum ticket office from the Monday before each session. The instructions for whoever wishes to carry out Mallarmé revisé o Malarmado revisado are clear and succinct. The action requires a stage, but can be done anywhere else. You need an audience, a die, and your space must have a floor. A resounding floor. The floor of a museum, for instance. The action is a quote and a homage to Stéphane Mallarmé’s A Throw of the Dice (1897). In Esther Ferrer’s reinterpretation, some things have been changed. The changes concern spatial relationships between the elements in the action. It is not the hand, as you would expect, that throws the dice, but the head. The die falls not onto a table, but onto the ground, a resonant floor. 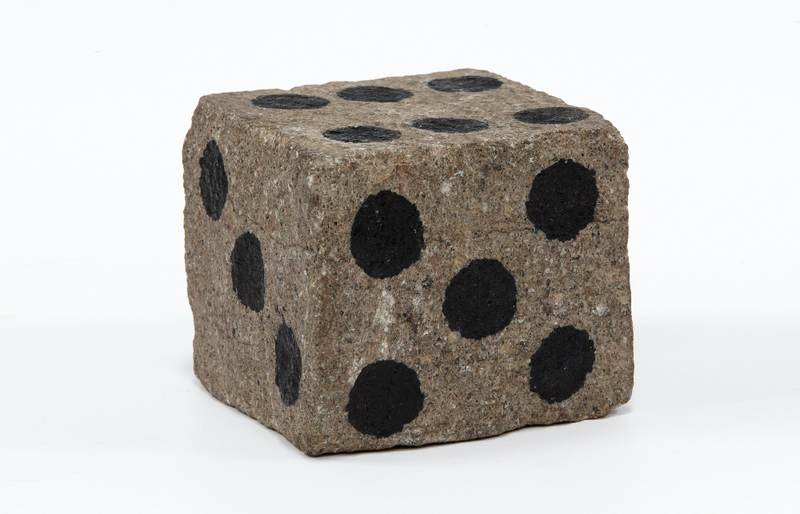 The dice are not a die, but a painted paving stone. This, we deduce, is a reference to what was happening at the time when Ferrer performed the action for the first time in the streets of Paris. Mallarmé revisé o Malarmado revisado is being exhibited in the exhibition After 1968. 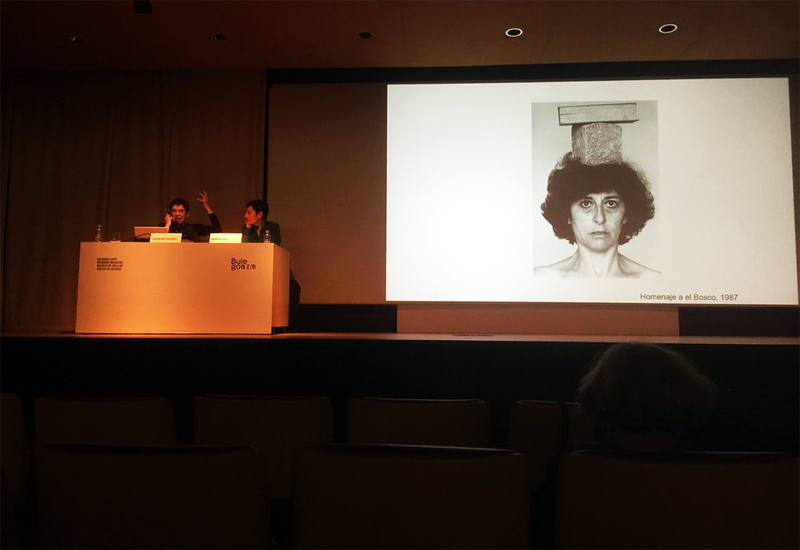 Art and artistic practices in the Basque Country, 1968-2018 at the Bilbao Fine Arts Museum. Esther Ferrer (Donostia-San Sebastián, 1937) is an artist living in Paris. 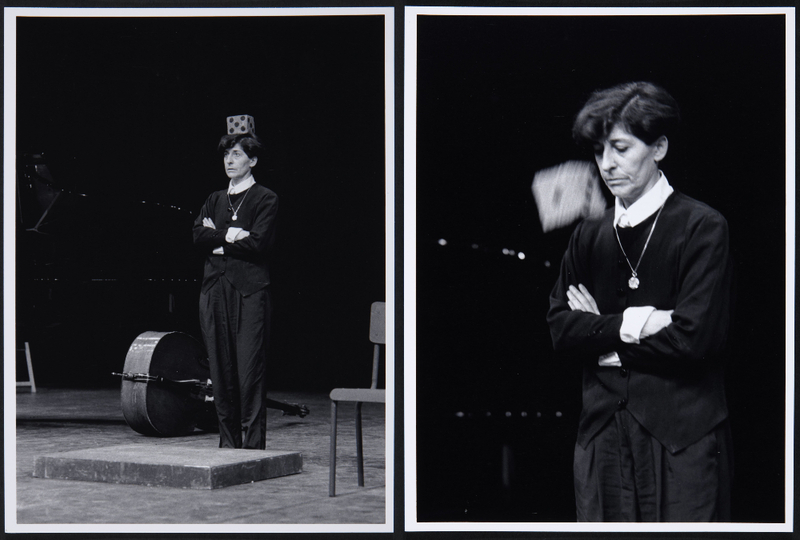 In 1967 she did her first performance, which runs through all her work as an ephemeral practice. She has produced objects, photographs, and systems based on prime numbers. In 1967 she joined the ZAJ group, which was set up in 1964 by Ramón Barce, Juan Hidalgo and Walter Marchetti, and disbanded in 1996. In 2008 she was awarded the Premio Nacional de Artes Plásticas, in 2012 the Basque Government Gure Artea prize, and in 2014, the MAV (Women in the Visual Arts); Marie Claire de l’Art Contemporain, and the Premio Velźaquez art award. 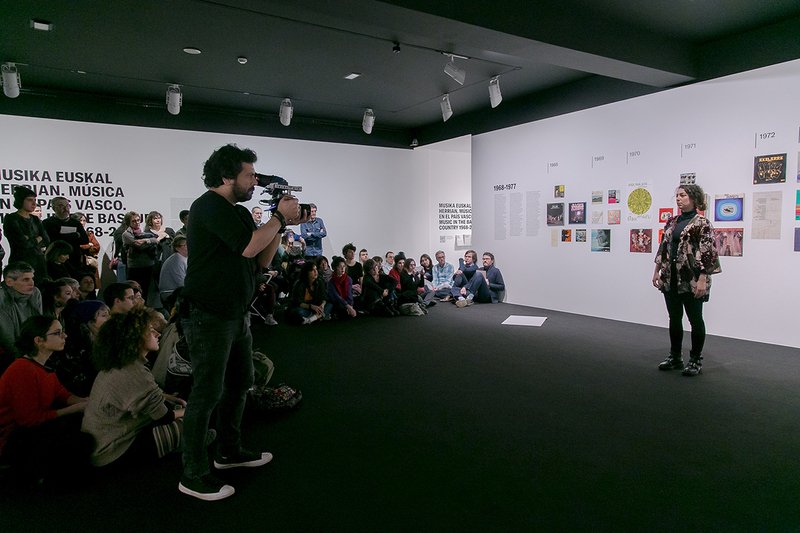 Recent exhibitions include Todas las variaciones son válidas, incluida esta, Museo Nacional Centro de Arte Reina Sofía, Madrid (2017), and Centre national de la danse C ND, Pantin (2018); Espacios entrelazados (2018), Guggenheim Museum, Bilbao. Laurence Rassel is a cultural worker wo can act as curator, teacher, organizer. Currently she is Director of erg (école de recherche graphique – école supérieure des arts- www.erg.be) in Brussels. From 2008 to 2015 she was Director of Fundació Antoni Tàpies (www.fundaciotapies.org), Barcelona, an institution created in 1984 by the artist Antoni Tàpies to promote the study and knowledge of modern and contemporary art. At the Fundació Antoni Tàpies she curated among others shows by Eva Hesse, Anna Maria Maiolino, Kerry James Marshall, Allan Kaprow and Xavier Le Roy. From 1997 to 2008, Rassel was member of Constant (www.constantvzw.org) a non-profit association and interdisciplinary arts-lab based and active in Brussels in the fields of art, media and technology. 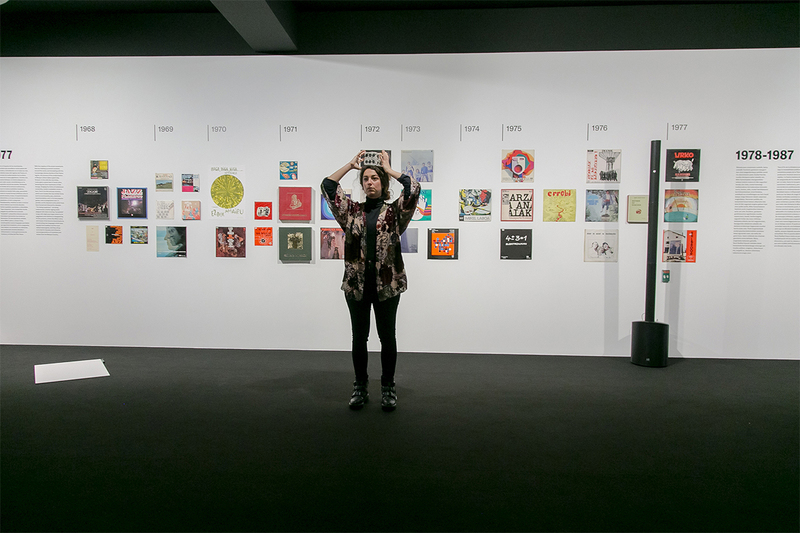 Artworks for De-occupying and Occupying Time in the Museum is a collaborative project between Bulegoa z/b and the Bilbao Fine Arts Museum.